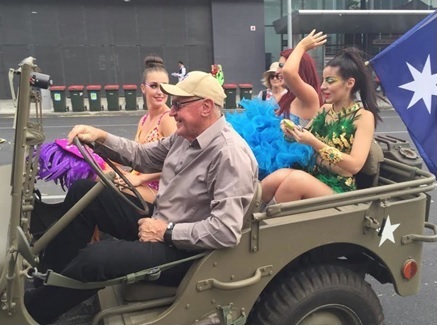 The 2016 Australia Day Parade was held on the usual day, and was an event that was thoroughly enjoyed by all who attended. Lots of colour, enthusiasm, and a great atmosphere . 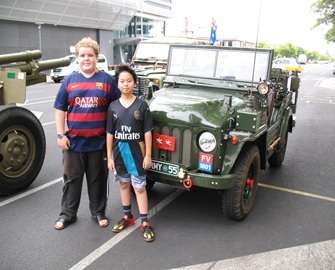 A good turn out of military vehicles was had, and for once, it the extremes of heat were not an issue. 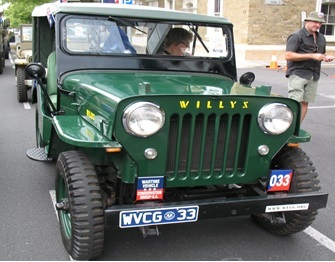 WVCG club member Kevin Tipler gave some Brazilians a lift to the Parade in his Jeep, and managed to keep a brave face whilst doing so. Chin up Kevin, the things we have to do !! !